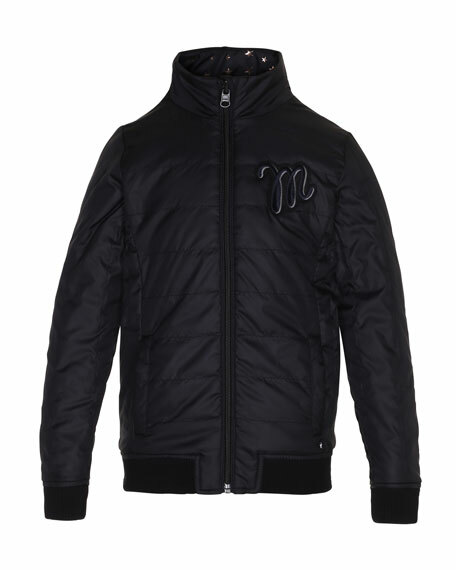 Molo "Hailey" quilted bomber jacket. 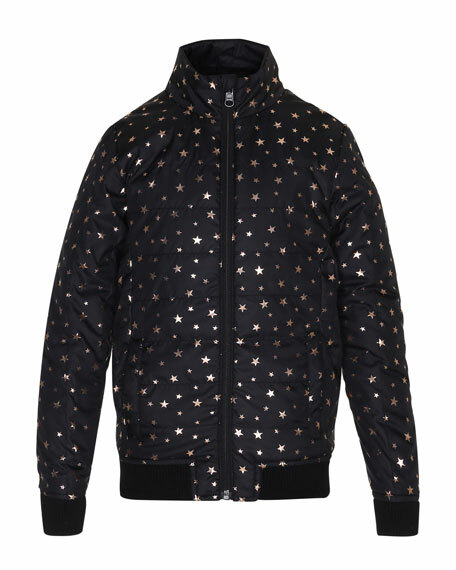 Allover metallic star print reverses to solid with "M" embroidery. Ribbed and banded cuffs and hem. 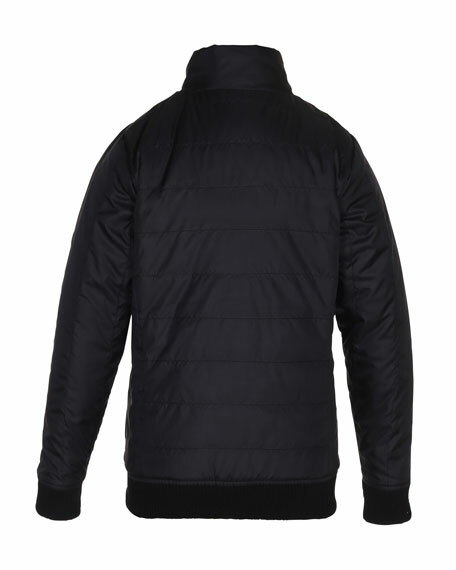 Side welt pockets on both sides. For in-store inquiries, use sku #2346258.